Google, like Microsoft and Apple is all about integration. Microsoft is planning to unify Windows and all its services under an umbrella, while Apple did successfully manage that a few years ago. Isn’t the saying united we stand, divided we fall apart apt for these tech giants. Google and Android have surpassed alternative mobile OS in usage and comfort, but unifying their services has always been an issue. Google’s fame and fortune are owed to Android, – it’s the duck that lays all of Google’s golden eggs- but we’ve got Google Voice and Hangouts updated for the desktop version, when we sorely need it on iOS and Android. Google’s latest feature sees Google Voice integrated with Hangouts, making it easy to call anyone when they aren’t within close reach of a smart phone with a Google Voice account. Engadget, first reported this feature, especially in a Google+ post by Alex Wiesen, the tech lead manager for Google Voice says that the new integrations work without a Google+ account or Hangouts. Isn’t that cool? Google Voice and Hangouts, who would’ve thought of that? Now, you don’t need these apps if you aren’t a fan of them to still keep in touch. It’s sad that Google+ gets the shaft, but the merger is welcomed by industry experts. All you need to do is visit Google Voice, enter the number you want to call and then select, Phone to call within the drop down menu where you can see an option for Hangouts. A new window opens, allowing you to continue your voice conversation on Hangouts as normal. Unfortunately, this feature is only available via the Google Voice website, the option not available for the mobile platform just yet, although that’s where this feature sorely needs to be implemented.It is no surprise that Hangouts integrated its services with Google Voice, merging services has been all the rage. In early July, the official Google OS blog, posted an inactive place holder like feature in Hangouts for Android asking users to migrate contacts and numbers to Hangouts. The Google Voice integration brings voice-mail and text messages to Hangouts, although it is subject to change or cancellation depending on the success the merge attains. Nevertheless, rumours of the feature which has not gone live yet has been around since March. 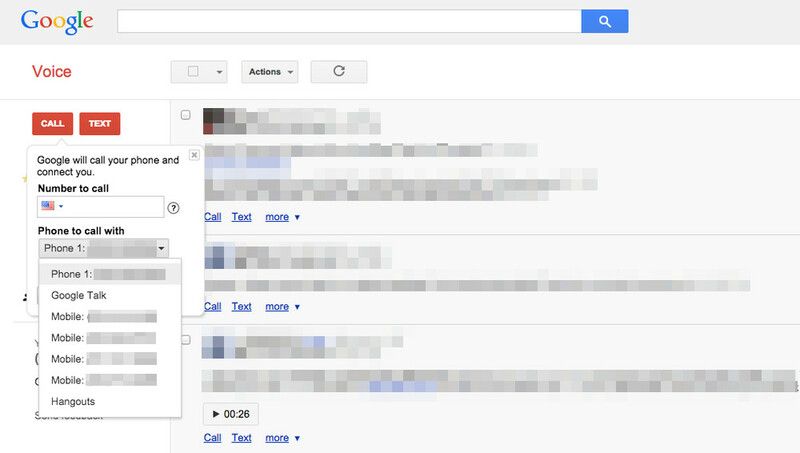 As a Google fan boy, I wish Google Voice and Hangouts were merged for the smart phone and not the desktop. I find the feature more apt for the phone and not the desktop. I am hoping that this integration is a test run for the inclusion in the Android and iOS versions because the complementary services are too good to miss.